I Tried Sonic’s Pickle Slush and WOW. Here’s What I Thought. Friends and pickle-lovers, gather round. I’ve got a story to tell and it’s a sweet dill. (I’ll never get tired of that pun, sorry about it). Sonic Drive-in, the fast-food chain known for serving your meals on wheels and their crunchable ice, is serving up fun flavors for the summer. And one of them is a bit out of the ordinary. According to the Sonic website, four new slush flavors are making new summer memories. The flavors include Tiger’s Blood, Bahama Mama, Blue Hawaiian and of course, pickle juice. Each of these limited time slushes feature the distinctly summertime vibe you would expect from a snow cone. Slurp it with a straw or use a spoon –this is an entire snow cone in a cup. The thought of trying the new pickle juice slush intrigued me, so naturally I had to try it out ASAP. It also didn’t hurt that I arrived at peak happy hour, when all drinks are half-price, bringing a small snow cone slush to under a dollar. But one can’t taste everything in one sip. I took another and really enjoyed the taste. It was really like crunching on a big dill pickle. The green pickle juice is refreshing and very different than the taste you usually get from a sugary slush. A few more sips and I got used to the taste. Now I’m just thinking how good it would taste with a shot of whiskey (added at home of course). 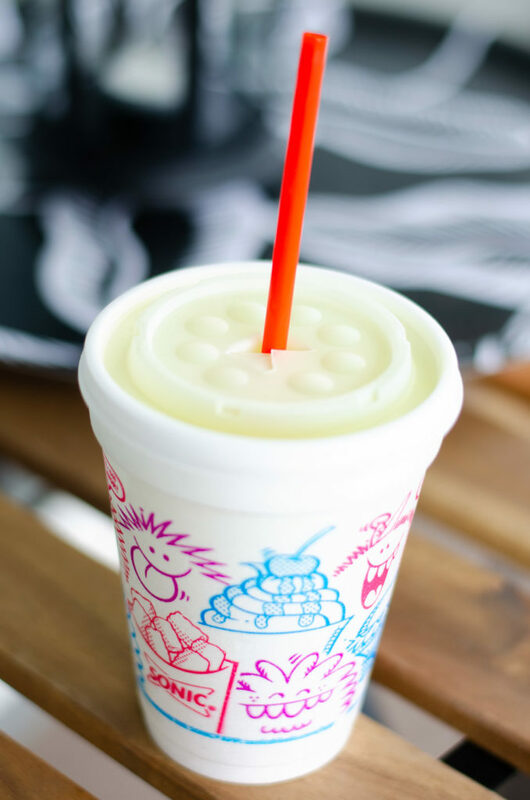 Editor’s Note: The limited-time Pickle Slush is no longer at Sonic Drive-In.